My books provide answers to real questions. My tone is simple and authentic. Enjoy my books at your local independent bookstores or at the links below. 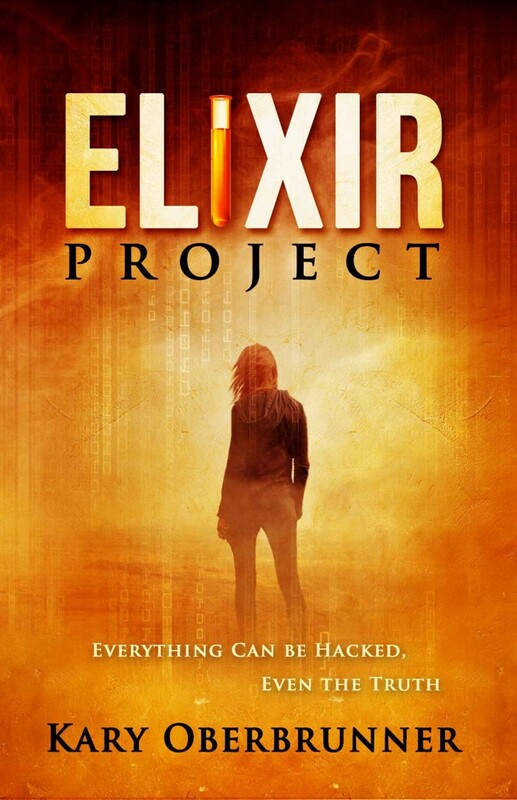 I've co-authored, collaborated, ghost-written, and consulted on many other projects with many fine authors. Over the last decade, many people have asked me for help with their writing, publishing, and marketing career. If that's you, visit Author Academy Elite. The two most important days of your life are the day you are born and the day you discover why. 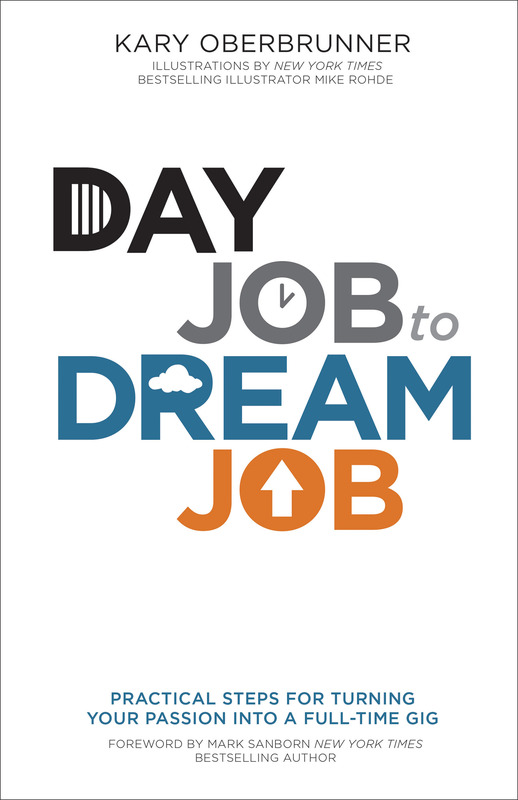 This book is for those who desire the answer to the “why” question, and this answer is found only by taking the Deeper Path. One emotion infects us all–pain. But although pain comes naturally, dealing with it doesn’t. Many cope by masking their pain, pushing it below the surface and self-medicating it with apathy, aggression, and addictions. Unfortunately, these strategies only numb our pain and our potential, creating space between us and our purpose. 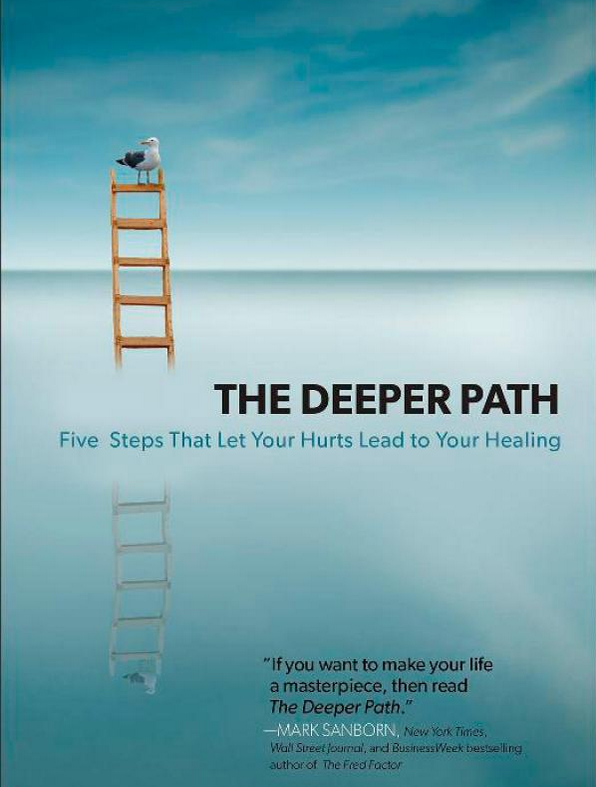 Although we can’t escape pain, author Kary Oberbrunner believes that the path of recovery begins when we stop avoiding the ache and instead choose to explore, unmask, and understand our deepest wounds. The answer is not to rid our lives of pain, but to learn how to let our hurts lead us to healing. In this transparent book, Kary shares his own story of overcoming self-injury while integrating relatable examples from education, government, entertainment, business, and faith. With deep compassion and clarity, Kary reveals a profound model that helps the reader move toward freedom and become a soul on fire. We all have one–a Secret Name that is. The Bible tells us so. Yet few of us know ours. 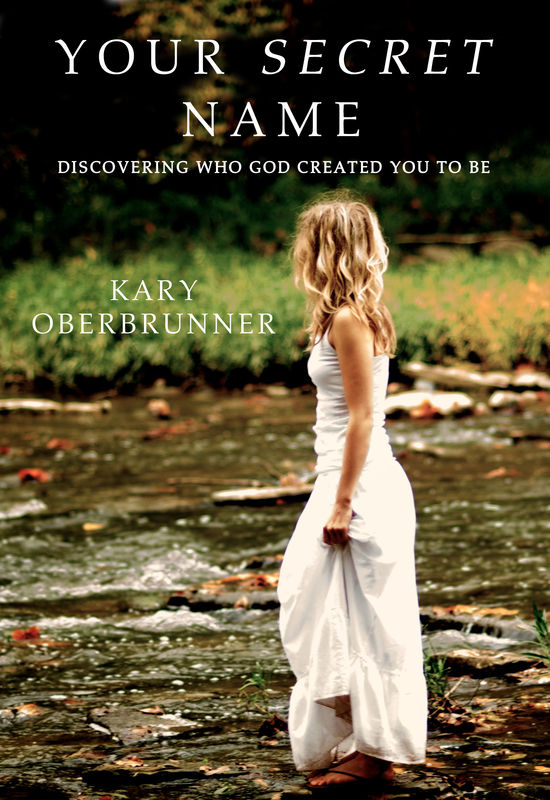 Ignorantly, we’re stuck, caught up in the “Name Game.” Using the story of the biblical patriarch Jacob as a backdrop, author Kary Oberbrunner calls us to stop accepting the world’s labels and start wrestling with God to discover our true identity. Jacob spent years living out the meaning of his earthly name: “deceiver.” Caught up in pretending to be someone he wasn’t, he was unaware that God would build a nation through him, unaware that Jesus would be one of his descendents, unaware of the lands he would inherit. Then he heard God speak his true name and the future God had for him unfolded. Oberbrunner reminds us that we’ll be unable to discern what God wants to build through us until we discover how God has seen us all along. In Your Secret Name, readers will find the courage to abandon what they know in order to become who they were born to be. What Does It Mean to Be in the World but Not of It? The Answer May Surprise You. Christ-followers are supposed to be the most liberated people ever to walk the face of the earth—with a message powerful enough to cause the dead to rise and the blind to see. We’re supposed to have God living inside of us. We’re supposed to know how to be in the world but not of it. Does that describe your life? Author Kary Oberbrunner suspects the answer is no, but not because you aren’t passionate about Christ. Rather, it’s because the church has been ripped apart and reassembled into two main camps that, at best, casually tolerate each other. The first camp separates itself from people, society, and culture for the main purpose of remaining unstained by the world. While the second camp conforms itself to the ideals, philosophies, and goals of the world in an attempt to be all things to all people. So what’s the alternative? A growing number of people believe in a different way and a different world. They are transformists. And they have the power to change the world. Care to join them? The Gospel isn’t just accepting Jesus into your heart; it’s also following Him with your life. Many people have adopted a concept of discipleship that asks little of them. Jesus calls us to live lives larger than ourselves. 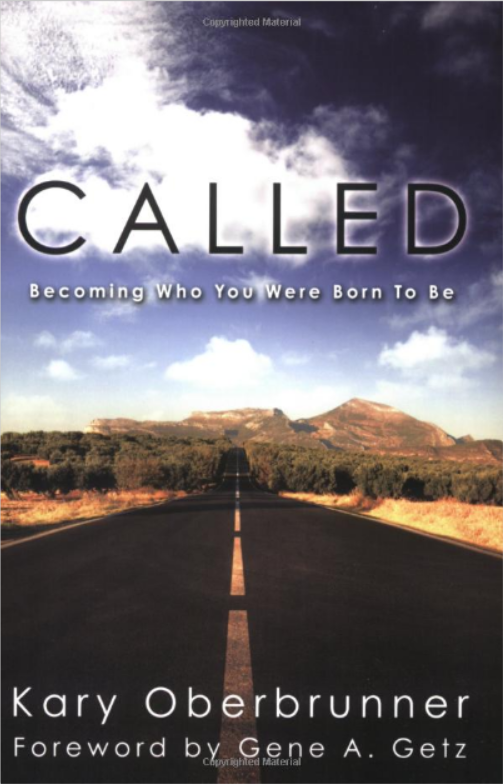 This revolutionary book reveals the depth of your calling and provides practical steps for how to truly become who you were born to be. The Movement is Beginning How do you live “in the world, but not of it”? Many Christians today seem to gravitate towards two extremes: They either entirely separate themselves from the culture around them or completely conform to the world in an attempt to be relevant. 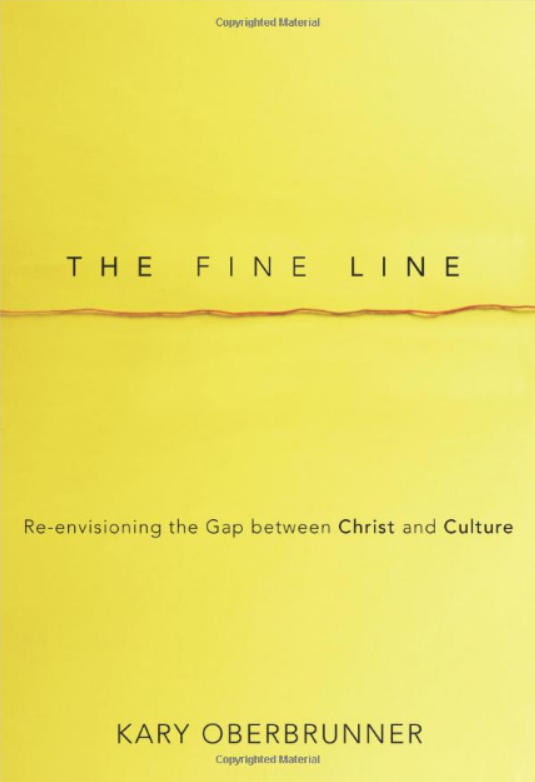 Fuzzy thinking has dominated the paradox between the black and white, and more and more Christians are confused on how to live an effective, culturally relevant life. Transformation is needed. 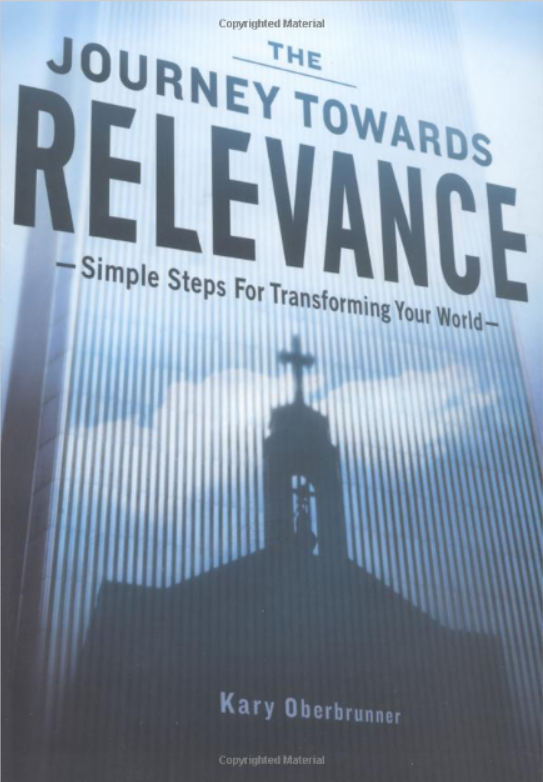 The Journey Towards Relevance invites you to begin a journey towards that transformation—towards relevance.